The combination of these areas should give you a good beginning introduction to IDHHB. If you have any questions, use our contact page. There you will find a contact form as well as a phone number. IDHHB broadcasts livestream every day. 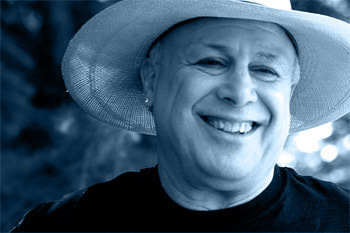 Each morning at 6:30 (Pacific time) EJ Gold presents a mixture of lecture, music, art, comedy, and a bit of everything. A definite must view if you are looking to check out the IDHHB experience. Throughout the day there is a variety of additional material -- not to be missed. For example: Live Music with Faxl on Monday. 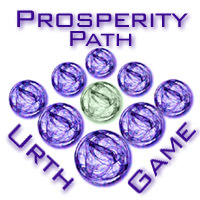 Here you can find discussions, observations, questions, comments, experiences, or just about anything related to Urthgame Prosperity Path and Prosperity Virtual Ashram. LRS Forum is the meeting place for the Labyrinth Readers Society and the Labyrinth Runners Society. Both are dedicated to the practice of guiding voyagers through transition. This group forum is for sharing the amazing poetry coming from the folks involved in the Prosperity Path. This poetry included original works and recitations from favorite authors. Yes, this is a poetry group. And yes, this is a great place to find others involved in the Work of IDHHB. Also known as Prosperity Virtual Ashram or PVA. The Ashram is located currently in the Second Life simulation. 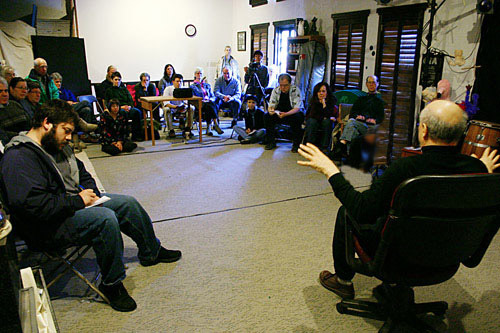 Staff and residents of the Ashram work to provide a full schedule of services and events throughout each day. You can find a schedule of events posted on Prosperity Path Forum -- found on Facebook. We periodically send email updates and newsletters to our subscribers. This is a FREE list. It is a 100% opt-in. We're sure you will find it a great way to stay on top of important events and workshops. Following IDHHB blogs is another great way to stay on top of what's happening. E.J. Gold contributes to theses blogs on a daily basis. 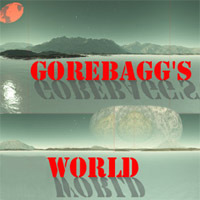 A combination of these two blogs and watching EJ's morning show (see GorebaggTV above), you will be pretty much up-to-date. IDHHB has an annual convention each year over the Labor Day weekend. In addition, we have a weekend workshop each month. Workshops are a great way to get involved, find out more about the Institute and its Work, meet others involved in this work, and spend a weekend focused on a given topic. Click here to get on our mailing list so that you can receive notifications. Use our Contact Form so that we may let you know of any workshops happening soon. Urthgame Orbs are a special kind of video game designed to coach you through a mindful "meditation in action" that will cleanse your karma and attend to a multitude of life issues. Of special note is the fact that you can run these Orbs on behalf of another -- making these an integral part of the Bodhisattva path. Members of the Labyrinth Readers and Runners Society (LRS) are involved in three primary services on behalf of all beings everywhere: Being a Reader, Prosperity Path Work, and Being With The Dying. On the idhhb.com website we try to maintain a fairly complete list of current worklines. These are activities that are used as part of our training and service. In the idhhb.com/worklines folders you will find areas such as: Altar Work, Art, Blueline Academy, JJWM, LRS, Magic, Movement, Music, Norton Str33t, Pocket Missions, Prosperity Virtual Ashram, and PWOS. In this folder you'll find things such as: Altar, Art, Books, Chocolate, DVDs, Health, Meditation, Music, Talks, and Tarot. Book from E.J. Gold and associated transformational authors. This could be considered the prime source of written reference works and study material. IDHHB brings you talks by E.J. Gold, and by Claudio Naranjo, Lee Lozowick, John C. Lilly, Zalman Schachter-Shalomi and others, in audio or written form, or both, from the late 1960s through the present, covering topics including personal transformation, spiritual life, the Fourth Way, Alchemy, Angels, Attention, Death & Dying, Bardo Training, the Great Work, Healing, Invocation, Metaphysics, the Man on the Cross, Reincarnation, Shamanism, Practical Work on Self, Work Traditions, Gaming and others. These talks are available in digital, print, and CD. IDHHB publishes, creates, and produces a staggering array of tools. Many of us have a list of personal favorites we could recommend. No two typicalities walk the path in exactly the same way. So for the moment, as an introduction to the wealth of materials available, we have included a short list of websites. Eash website is devoted to a section of IDHHB tools and content. Gateways is mentioned again in the tools section because so many of the books are jam-packed with exercises, meditations, techniques, and other practical references providing the necessary material so that you can gather your own personal experience personally experienced. The home of Prosperity Path Orbs. Special spirital games. Designed by a dedicated team of developers with your spiritual evolution in mind. Look here for a wide selection of CQR (Crystal Quantum Radio) Amulets. Yoyodyne Industries presents the complete line of CQR technology introduced by EJ Gold. Music is used in many way at the Institute: as a tool, study material, a practice, workline and access point. On OnlyTheBestCDs.com we have a selection of music produced by IDHHB and friends. By the way, as you look through the list you'll notice that music also speaks volumes about the history of the Institute. The Institute is a 501(c)(3) California Non-Profit Corporation. The Institute for the Development of The Harmonious Human Being is dedicated to the enablement of conscious living and dying, personal transformation, the attainment of higher personal, organizational and planetary consciousness, in service to the vision of a living universe. IDHHB works with individuals and organizations to provide tools of service in these areas, to expand perception and awareness, and cultivate high attention and presence. IDHHB has been around for quite some time. In order to provide an overview of the Institute's history, we have provided a 420 page online scrapbook. We are in the process of formating this presentation for offline browsing. If you'd like to know when it is available, use the contact form to let us know. After reading even a small portion of the IDHHB material, it becomes obvious that E.J. Gold is a major source and inspiration for the work we do. The overwhelming breadth and depth of the work we do at the IDHHB Institute is a reflection of these qualities in E.J. Gold. While it is not possible to give a comprehensive answer to the question of "Who is E.J. Gold?" in a few paragraphs, we have created a website that gives you a glimmer. Some of the areas of EJ's life covered on the website are: Actor, Animator, Art Teacher, Artist, Blogger, Chef, Chocolatier, Choreographer, Cold War Spy, Comedian, Engineer, Entrepreneur, Fashion Designer, Gamer, Game Developer, Gold Miner, Guru, Happenings, Inventor, Jeweler, Magician, Movie Consultant, Museum Curator, Musician, Music Teacher, Painter, Photographer, Producer, Playwright, Puppeteer, Screen Writer, Sculptor, Singer, Spiritual Gaming, Teacher, Transformation Instructor, Writer, Zen Gardener, and More.